Following on from my Gift Guide for the girls last week, I’m now talking all things for the guys! I always struggle shopping for the men in my family for some reason, and I know a lot of people who say the same about the guys in their lives too! This year though I think I’ve found some great ideas whilst trawling the internet for inspiration, and of course I’m sharing those ideas with you! 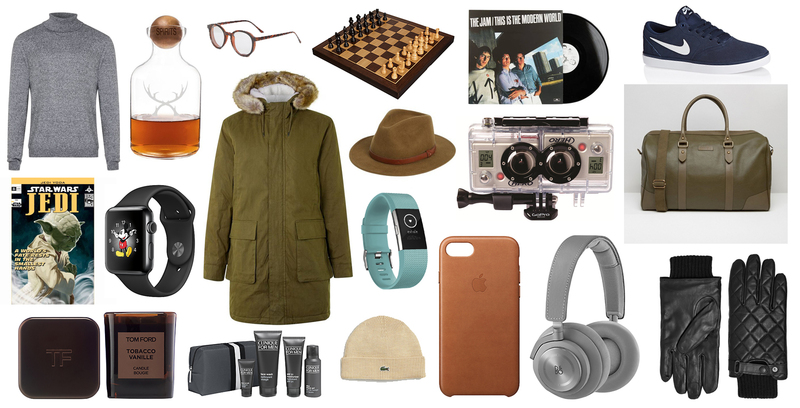 Whether you’re shopping for a sports fanatic, dapper gent, tech lover or fashionable fellow, hopefully you’ll see something for that special someone here, whatever your budget! What will you be buying for the boys this Christmas? If you have any other ideas for gifts them leave them in the comments below and help a sister out!! Happy shopping, lovelies!